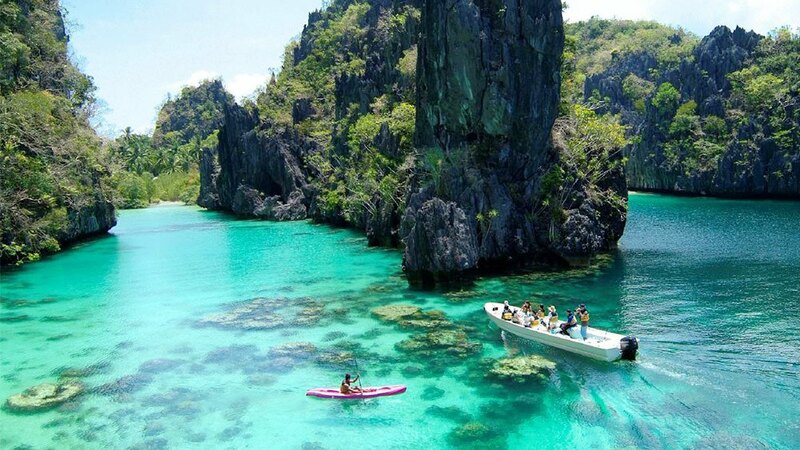 Palawan islands are some of the beautiful island areas on earth, and provide one of the most majestic and beautiful places for a person to visit. With 1,200 miles of coastline and 1,780 islands and small islets, there is literally a plethora of great places to visit and spend your vacation. Making up the most important of these islands is Palawan Island itself, which is located off the northern coast of the Philippines along the South China Sea. 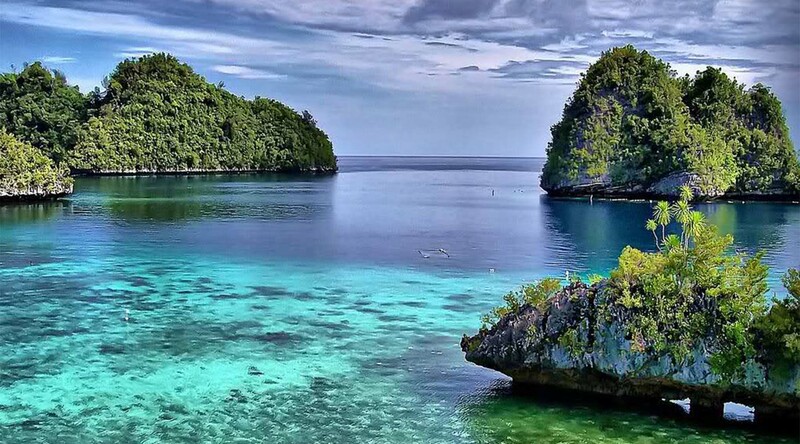 Along its southern coast is found in the Sulu Sea, making this an interesting blend of different bodies of water. This island is quite undeveloped at this point, but still offers some great vacation spots to enjoy while you are there. You will find that many of the people that live here are quite traditional in their beliefs and way of life, and the beautiful wildlife, jungle mountain regions, and white sandy beaches make for a perfect place to spend a vacation, no matter when in the world you are coming from. This island is called the “Last ecological frontier” in the Philippines, because of its commitment to protecting the amazing wildlife and natural beauty of the island. 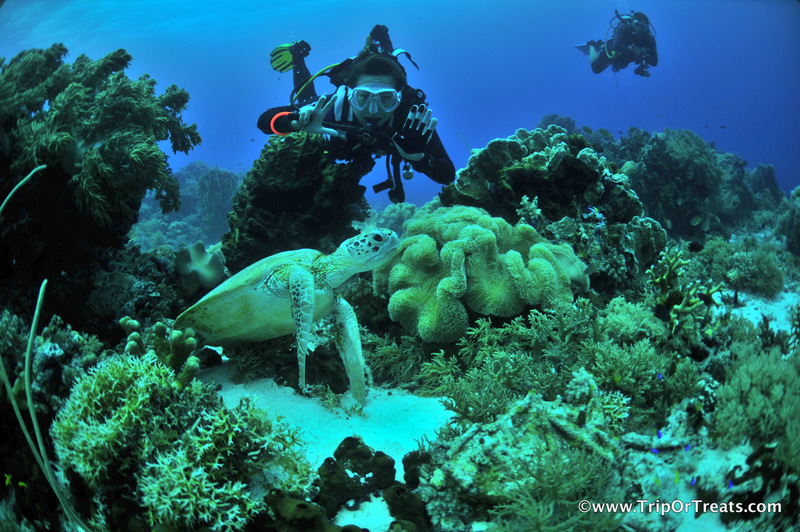 In fact, Tubbataha Reef National Marine Park is located here, as well as the Puerto Princesa Subterranean River. These are two of the most important ecological sites according to UNESCO World Heritage, and is a prime reason why so many tourists love to come here. If you are looking for a unique place to spend a vacation in terms of climate, these Philippine Islands are the perfect destination. At the extremities in the north and south of the group you will find one kind of climate, while on the western coastline of most of the islands you will see something quite different. All of the western coastlines experience two primary seasons – six months of it being quite dry, and six months of it being extremely wet. On the eastern coast they have a very short duration for their dry season, lasting usually less than three months. During the other months of the year there is very little rain at all on the eastern grouping of islands. 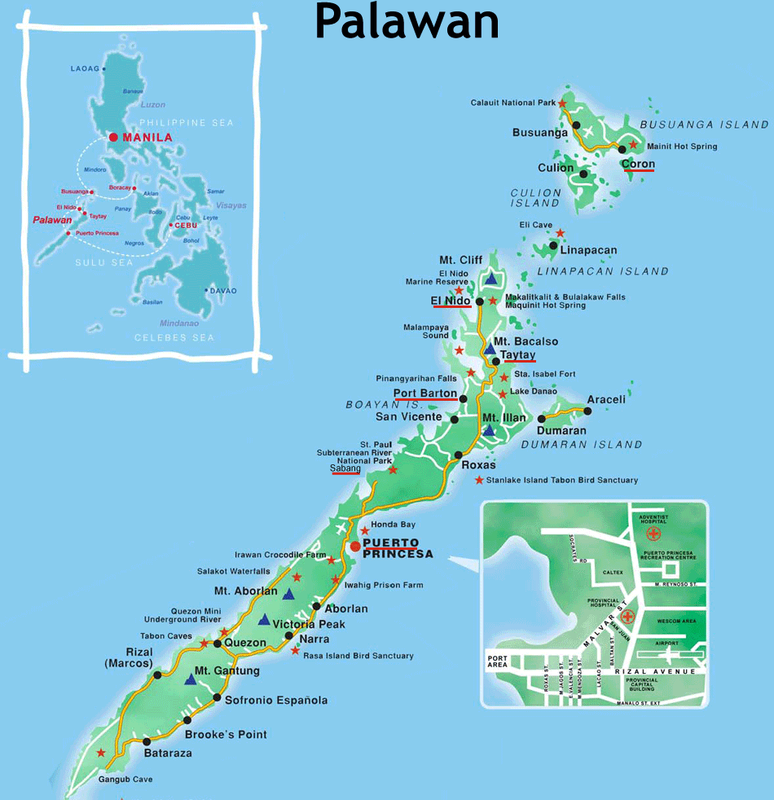 In the southern part of the province of Palawan, which includes all of the Koh Rong islands in this region as well as a part of the main coastline, there are no tropical depressions at all. However, in the northern part they will get torrential rains and typhoon affects from July and August. Most sea vessels consider the most favorable months for travel to be March through June. The average temperature within the area is about 31°C. There is very little variation from this temperature year round, so visitors can expect a warm and enjoyable vacation no matter what time of the year you go, as long as you can handle a bit of rain. This is the administrative center of the Palawan Islands has frequently been named as the greenest city in the cleanest city in the Philippines. There are a large number of attractions to the city, including such things as beaches and a wildlife preserve. This is not only a true nature lover’s paradise but it is also a location that is perfect for romance. There are a great many attractions that you will find on Puerto Princesa. We have already talked about the Subterranean River National Park that is here, that is been declared one of the best locations for people to visit on the whole planet. Winding underground river that has a path along the side of it creates for one of the most fun and adventurous activities that you will find anywhere on earth. Honda Bay has several small slits to it that include beautiful beaches on Koh Rong. This is not only a great place to go swimming, but you will love the snorkeling and scuba diving that is available as well. Honda Bay is about 25 minutes from the main city area, making it an easy journey to reach. There you will find great restaurants, shops, and a wharf where you can join a tour. Some of the other interesting things you will find in Puerto Princesa being with the Iwahig Penal Colony. It is not often that a penal colony as a favorite destination, but this is the true exception. This is a true correctional facility where it is more of a farming community than an actual prison. Inmates not only live with their families but they work on the farm together. You will also find a large number of hand-carved crafts made by the inmates that tourists can buy. The Palawan Wildlife Rescue and Conservation Center is also located here. This used to be a crocodile farm, and still holds a large number of crocodiles, but there are many other species of animals here as well. Baker’s Hill is like a poor man’s version of Disneyland. You will find the Shrek treehouse here, and their other amusement oriented activities and rides. Palawan State University is not far away which holds a small museum. For those looking for more savage kinds of activities, there is cockfighting that is offered. There are actually quite a few arenas around the area where the sport goes on. You can not only watch these events but bet on them as well. They even allow photographing and video taking of the events. Puerta Princesa is a great many restaurants to eat and, but where they really excel is in the nightlife. There are spectacular bars and clubs that attract people from all over the world. The Kweba Resto Bar is a club that has live reggae music every weekend, and is packed every weekend. Casa Nieves is like a small club movie theater, where local projects are shown. It’s a very cool place to hang out. There are many diving centers where you can go to learn how to get to Koh Rong. They will not only teach you the techniques and have equipment available for you, but they will also take you to the best places to go diving. If one were to examine the geology of the Palawan area, they will find that it is not similar to what you would find in most of the rest of the Philippines. Most of the crust of the Northeast Palawan area is derived from what would be the southeastern edge of the crust that China sits on, making it part of the Eurasian plate. As a result, some of the oldest rocks found in the Philippines are located in this area. In the southwestern portion of the province, most of the crust of this is found to be part of the oceanic crust. It is the transition from oceanic crust to continental type that makes this region a spectacular geological area to study, and is one of the reasons why many scientists find this an intriguing area to visit. Because of the unique formation of this area some of the most spectacular rock formations are also found. There is a very unique Karst limestone that is found in the St. Paul area that is different in age and origin than what you would find anywhere else on the earth. The fossils that have been discovered in this area are less than 30 million years old, and limestone that form the reef like structures along the island areas are a spectacular blend that is different from any other formation you would find on the globe. It is believed that man has lived within this island area for over 50,000 years. Within some of the caves there are bone fragments and other artifacts that scientists believe date back this long ago. Scientists have named these bone fragments Tabon Man, after Tabon caves, the most famous in the area. Within the cave have been found a number of tools and other artifacts that show that the people that lived here at this time were quite sophisticated. Between 10,000 and 5000 years ago, the Palawano and Tagbanwa, both believed to be descendants of the Palawan, began to form governments, an alphabet, and a trading system that was largely sea based. This made some of these early people some of the first seaborne merchants. About 5000 years ago began an extended period of jar burials. Over 1500 of these artifacts have been found and visitors to the islands can still see this today. The artwork on these is spectacular. In about 220 A.D began the period known as the Three Kingdoms. This is when a group of people fled from South China and settled in many of the Southeast Asian nation areas. Chinese traders regularly visited these islands swapping and trading with the local people of the time. This went on for nearly 1000 years. In the 12th century, immigrants from Malaysia began to settle among the islands. The new settlers brought new ideas for crops, including growing such things as rice, coconuts, sugar, bananas, and sweet potatoes. They also brought animals such as pigs and chickens and help the economy grow through hunting and fishing. This was the first time that weapons such as traps and blow guns were used within the area. It was also the time that both Buddhism and Hinduism were introduced to the people. 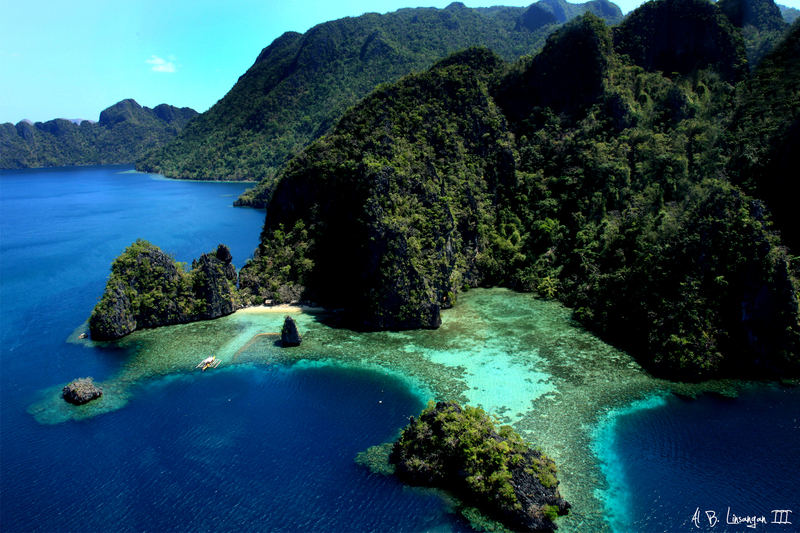 In the 1500s, Spanish sailors eventually arrived in the Palawan Islands. In fact, immediately after Ferdinand Magellan’s death his fleet was nearly starving to death until they landed on the main island itself. They dubbed the land “Land of Promise” because of how it had provided for their needs. In the early 1600s the entire region fell under Spanish control. About 100 years later Spanish friars came and introduced the area to Catholicism. The building of churches came shortly after as did large settlements. Spain dominated this area until 1902. In that year the islands were seceded to the Americans after the Philippine – American war. Puerto Princesa was named the capital of the area, and Palawan was given its official name. The Americans instituted a series of reforms which included the building of schools and helping people to move closer to where government buildings were. During World War II, the area was captured by the Japanese and eventually led to one of the darkest times in the nation of the Philippines history. On December 14, 1944, the Japanese commander was concerned about the advancing American army. They held 150 prisoners in the capital of Puerto Princesa and wanted to ensure that they could not help the Americans. Nearly 150 were herded to a series of trenches where they were set on fire. A memorial has been erected at the site of the location and tours are provided today. The area was liberated from the Japanese between February 28 and April 22 of 1945. Southeast Asia has some of the most beautiful plants, animals, and insects that can be found on the planet Earth. The Palawan Islands are no exception to this. Part of what makes it so spectacular is that bio-geographically the area is part of a few different ecosystems, meaning that there are some very unique combinations of wildlife found here. Here you will find a very interesting array of animals, including the Palawan peacock-pheasant, the Philippine mouse-deer, the Palawan bearded pig, the Philippine pangolin, and the Palawan birdwing. And this is just the tip of the iceberg. Daily you could walk the forests and grasslands of this region and hear the songs of over 200 different kinds of birds. There were also over 600 different species of butterflies that circulate through the mountains and fields of the region, and over 2000 different kinds of plants. The forest area of these islands covers about 56% of the total land, meaning that there is an unbelievable array of plants and animals that are living within it. The soil is rich with nutrients allowing the plants to prosper within this area including the Nepenthes attenboroughii, commonly known as the “shrew-eating pitcher plant.” That is quite an image for sure. 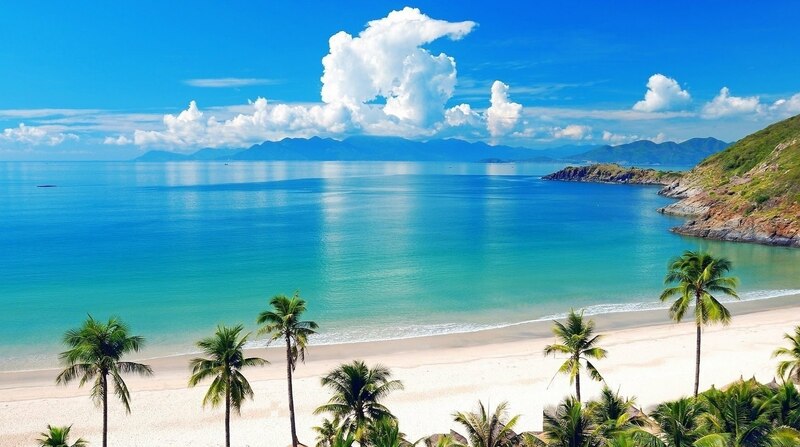 National Geographic magazine called the Palawan Island itself the most beautiful island in the world in 2007 and declared that the region of islands and its coastland is one of the most beautiful seascapes and landscapes on earth. They declared this is a “can’t miss vacation destination”. Of course, we would be derelict in our duty if we didn’t address the incredible sea life that exists around these islands and its coastlines. There are over 11,000 km² of coral reefs that can be found here, which represent a total of 35% of the Philippines total amount of coral reefs. 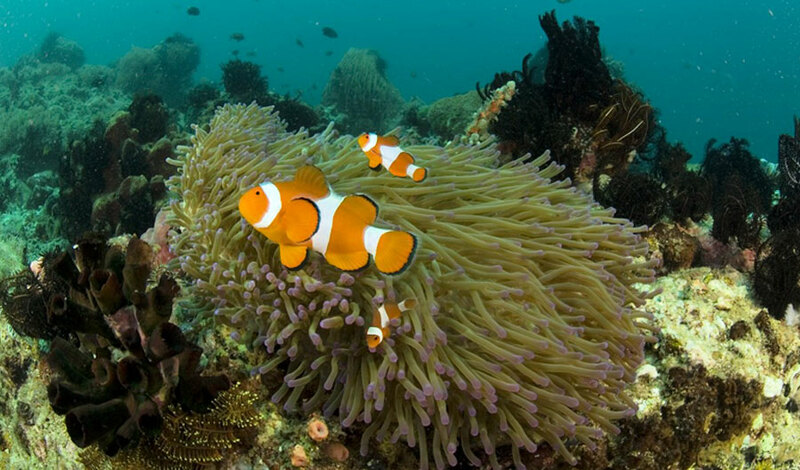 In and amongst these coral reefs are exotic fishes and plants, as well as crustaceans and other sea life that will truly astound the eyes and the imagination. A large group of endangered species of sea turtles have found these islands to be a refuge from near extinction. Many, nestled within the white sand beaches of the Palawan Islands, have seen their numbers rise over the years because of the governmental protections that the Philippines have provided to them. 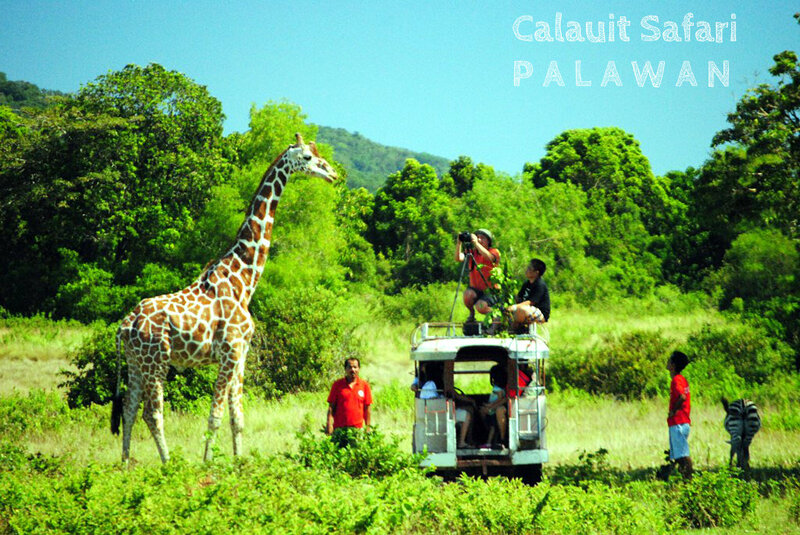 This wildlife sanctuary is home to a wide range of exotic African animals and many endangered animals that are native to the area of Palawan. This was established in 1976 and came about as an appeal to try to protect endangered species of animals that were not only indigenous to the Palawan islands themselves, but also to protect a large species of animals that were endangered on the African continent, especially within the nation of Kenya. This preserve is on Calauit Island and provides a great day of activities for the whole family. When you’re surrounded by a large amount of water, it makes sense that there would be a spectacular Marine Reserve Park here as well. Located near the El Nido Resorts, this is an incredible place to see fish and sea life that are able to rebound because of the protections that this park offers. This would include the giant clam, which is making a huge rebound thanks to a protected garden area where these clams are flourishing. Philippine cockatoos are also finding a second life within this park area. The commitment of this region has been to protect the local environment, and guests who were staying at these resorts can truly appreciate the efforts that up and made by enjoying the reefs and other wildlife that has been saved and is now doing well in this marine park. This is a great place to visit which provides absolutely breathtaking views. With seven lakes that are surrounded by a series of limestone cliffs, this is one of the most beautiful places on earth, especially for those seeking to get in closer contact with nature or who were looking for a romantic setting. Many people love to come to this location because of the incredible jump off points for rock diving. In fact, the best location here is where 12 World War II Japanese ships were sunk by the U.S. Navy. Many people use the ships as a jump off point, but they are also greatly enjoyable for those looking to snorkel or do some diving through them. Forbes magazine called this location one of the top 10 scuba diving sites in the entire world because it not only provides you with the opportunity to see history but also the amazing sea life that has made the ships their home. There are actually two different areas that make up these sites. The first of them is the Puerto-Princesa Subterranean River National Park. This park is a beautiful site which features a large limestone landscape and a spectacular underground river. You can join it to her to get a look at this or simply paddling on your own boat. A large number of species of animals live within this area, and some of the most important forests in all of Asia are included right here. This is an extremely interesting area because of the full mountain to sea ecosystem that can be found here. There are not many places on earth where you would find such a large diversity of animals, plants, and other wildlife. The Tubbataha Reef Marine Park is over 250 mi.² and is a very unique example of what it is referred to as an atoll reef. Here you will find a very large array of marine species which are also home to two coral islands and an extensive number of lagoons. Much of the coral reefs areas have been virtually untouched making it a spectacular sight to see. With nearly 5000 acres a protected area this has become the perfect location for a large number of birds and marine turtles to have found refuge. This is another spot where you will find the Philippine cockatoo, which is doing extremely well now because of these protected areas. Walking among the wildlife here you will truly get to enjoy the beauty of God’s work. Besides the attractions that were mentioned, there are a great many things to do and enjoy while visiting this fantastic area of the world. There are a great many places where people can enjoy the incredible nightlife that exists within this province of the Philippines. It starts with the great clubs that are available, especially in such places as El Nido. Here, as well as many other locations, you will find clubs that offer a wide variety of music or just allow you to hang out and have a drink. You will also find that there were great locations to enjoy parties on the beach. This is found that many of the resort areas, but there are also spots that have nightly bashes that go on while some offer these events on the weekends. While music is played at these events, it is usually live bands, and many of the people are there simply to mingle. These are phenomenal places to meet people from all over the world, including those people who were indigenous to the area. The shops that are on the island are spectacular. You will be amazed at the items you can buy at a very inexpensive price. You will find that there are shops that will have virtually anything you could be looking for. The handcrafted art and clothing that you can buy at many of the shops are truly spectacular, and are perfectly suited for the climate of the area. The people who design these things are true artists and you will honestly feel like a thief for what you have to pay to get these items. The restaurants around the area provide a wide array of cuisine. Because of the large number of people that have inhabited the Philippines at one time or another, you will find quite the diversity of foods. You will find such things as Spanish, American food, French, Japanese, Chinese, Thai and, of course, foods that are indigenous to the Philippines. There is truly something for everyone. One of the great things about this area is that there are many tour boats that can take you around to virtually any island you want to get to. It does not matter where you are staying, you have the ability to get to any location within the Palawan Islands. There are also tours that can take you to see many of the attractions or historic sites that are included in the province. The cost of tours depends upon what attractions you want to see and how long you were intending to stay. However, no matter the choice the cost is extremely reasonable. You can also hire a private tour boat to shuttle you around. With so much incredible water around, it makes sense that there would be great snorkeling, diving, and fishing available. Many love coming to these islands because of the great rock diving that they can partake in, but the water does not have to be enjoyed from 40 or 50 feet in the air. The beaches are absolutely beautiful, and provide not only areas where you can join in with others for fun activities, but allow you with the opportunity to find secluded locations to get a little alone time. If you are not in any of the marine preserves, there are fantastic places to go fishing. With two different large bodies of water surrounding the islands, there is a wide assortment of fish and other sea life for you to hunt for. If you are just looking for a day of looking at the fantastic array of species of sea life you will find no better place to snorkel or scuba dive. Dolphins and whales frequently travel through this area and you can either see this from the water or take a tour out that will show you these majestic creatures up close. If you are going to make the Palawan islands your destination for a vacation, there are four spots you surely want to visit while spending time there. 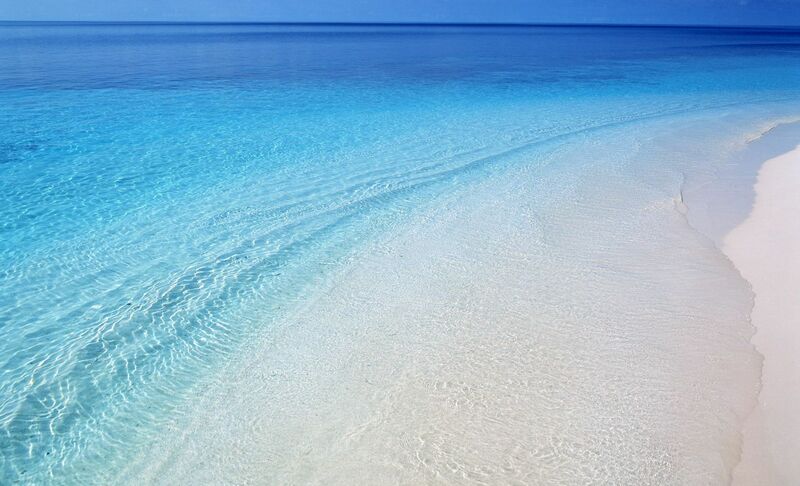 Discover Koh Rong island the largest Cambodian island! Visit Koh Rong Samloem the second beauty of Cambodia Islands!